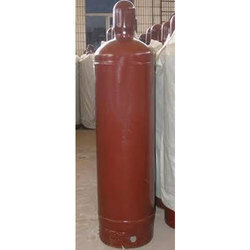 We are the leading manufacturer of Acetylene Ethyne. Flammable colourless gas with ether-like odour when very pure, otherwise Gaelic-like. Acetylene (C2H2) Ethyne is used as a raw material for the production of electrically conducting plastics, such as polyacetylene. It is most commonly used in combination with oxygen for cutting or welding material such as mild steel, where the standard industrial grade is sufficient. It is used in organic synthesis as well as in chemical synthesis. It is used in the cultivation of plant; it improves the forming of flowers. It is used as a component in calibration gases for the gas, oil as well as chemical industry. It is still used in some lighthouses as the light fuel source. It is one of the components in lung testing gases.